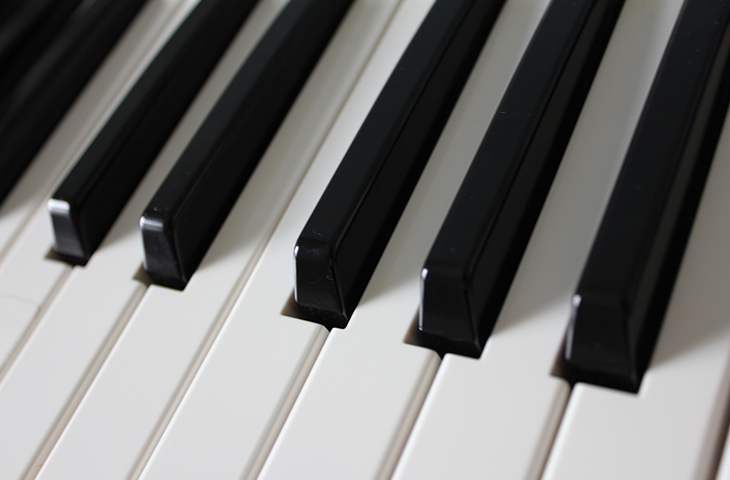 The GSM is proud to offer a piano program of international standards. Our teachers are highly trained and have large experience in performance as well as teaching. We focus our teaching on the student’s needs and interest, and are versatile enough to accommodate ages 4 to 94. Early Childhood – We recommend starting instrumental lessons at age 4, but some children highly incentivized at home and with unusual maturity for their age may be ready at 3. The GSM uses the Faber’s Piano Adventures series for students this age unless the parents request the use of the Suzuki Method or any other specific system, which we also can use. Music reading is extremely important for a pianist, so we introduce the concepts of music reading from the beginning. We also prefer the students to use the supplemental books (Theory, Technique and Artistry, and Performance books) of the method. However, if a new student who previously has worked on a different method comes we continue with the method the student is used to. Grades 4 to 12 students – For older students we offer the Accelerated Piano adventures for older beginners. We also use additional methods for Intermediate level such as Beyer Piano Method, Hanon Piano Exercises, Scale Books, or Music for Millions. The GSM is proud to accommodate students with special needs. Every year we have several students with some type of learning disabilities (ADD, Ausberger, moderate levels of down syndrome, and autismeven moderate levels of audition). We strongly believe that music helps those students to overcome their difficulties and bring the possibility to learn how to play an instrument.